Outdoor And Patio Furniture For Every Style! Now you can make your outside entertainment area as comfortable as your inside entertainment area with a wide selection of outdoor furniture. Choose from patio furniture, side tables and chairs, dining sets, rockers, and swings in both wood and weather resistant materials. Our collection includes fun, bright summer colors, natural stone accents and contemporary, casual colors. Pair your furniture with nautical or outdoor decor for the finishing touch. Pacific Home Furniture is proud to offer the Behren's 3 Seat Bench w/Back as part of our outdoor..
Pacific Home Furniture is proud to offer the Behren's 2 Seat Benck w/Back as part of our outdoor..
Pacific Home Furniture is proud to offer the Behren's 4 Seat Bench w/Back as part of our outdoor.. The Hourglass Dining Chair is part of Pacific Home Furniture's outdoor patio furniture collectio.. This Hourglass Dining Table is offered as part of Pacific Home Furniture's outdoor patio furnitu.. The Hourglass Two Seat Bench is part of Pacific Home Furniture's outdoor patio furniture collect.. The Hourglass Two Seat Bench w/Back is part of Pacific Home Furniture's outdoor patio furn..
Nantucket Wood Outdoor Chair Pacific Home Furniture is proud to offer the Nantucke..
Nantucket Wood Outdoor Settee Pacific Home Furniture is proud to offer the Nantuck..
PacificHomeFurniture is proud to offer The Original Uwharrie Adirondack Chair as part of our&nb..
PacificHomeFurniture is proud to offer this Original Chaise Lounge as part of our outdoor patio..
Pacific Home Furniture is proud to offer the Original Collection Round Side Table as part of o..
PacificHomeFurniture is proud to offer this Original Side Table as a great addition i..
PacificHomeFurniture is proud to offer this Original Rocker as part of our outdoor patio furniture c.. The Original Swing from Pacific Home Furniture is part of our outdoor patio furniture collectio..
PacificHomeFurniture is proud to offer this Original Two-Seater Rocker in our outdoor patio furnitur.. Outdoor Dining Chair This outdoor dining chair is made with a lightweight aluminum fram.. Outdoor Dining Chair Our Porto Fino outdoor dining chair is made with a light..
Reclaimed Teak Dining Table PERFECT TO ACCOMMODATE LARGER GROUPS OF PEOPLE. ..
Versatile Teak Wood Dining Table The Rustic Teak Dining Table has clean lines and offer..
Pacific Home Furniture is proud to offer the Veranda Chair as part of our outdoor patio furnitu..
Pacific Home Furniture is proud to offer the Veranda Rocker as part of our outdoor patio f..
PacificHomeFurniture is proud to offer these Wave Chairs (LSF or RSF).Designed for comfort, a mu..
Pacific Home Furniture is proud to offer this Wave Rocker in this fantastic coastal style, perfect f..
Pacific Home Furniture is proud to offer this Wave Conversation Table. This unique classic ..
Pacific Home Furniture’s Wave Settee is designed for comfort, a must for relaxing pool or beac.. Wave Settee Rocker from Pacific Home Furniture is designed for comfort, a must for relaxing pool or ..
Pacific Home Furniture is proud to offer this Wave Swing with an amazing coastal style look. ..
Pacific Home Furniture is proud to offer this Westport Sectional Corner Unit.This collection of outd..
Pacific Home Furniture is proud to offer this Westport Chair. 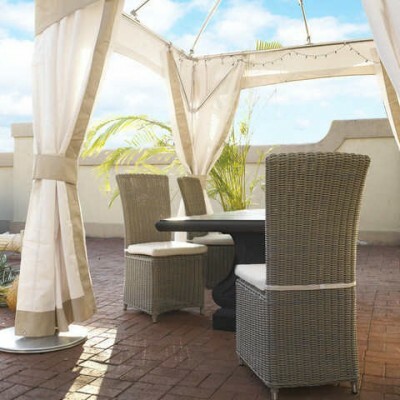 This collection of outdoor patio ..
Westport Cocktail Table from Pacific Home Furniture is perfect for your outdoor patio fur..
Pacific Home Furniture is proud to offer this Westport Sectional Arm Unit. This collection of o..
Pacific Home Furniture is proud to offer this Westport Settee in 30 fantastic colors. This coll.. Outdoor Teak Wood Dining Table This unique table from Pacific Home Furniture is handmad.. Round Teak Wood Outdoor Dining Table This unique table from Pacific Home Furniture is h..